Ci siamo fermati una sola notte in questa struttura, al ritorno dal Machu Picchu. Ambiente semplice, grazioso ed accogliente, camera e letto confortevoli, cena e prima colazione buone. Ottima posizione centrale, comoda per la visita al sito archeologico. Thank you for your review. I think you can see from other recent reviews that our high ratings are justified and not obsolete. 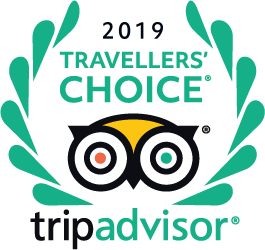 We have a 2016 TripAdvisor Certificate of Excellence, which we have earned from providing consistently high standards of service since we opened in 2009, and also a Gold Level Green Leaders Award for our environmental sustainability practices. We don't have heaters in the rooms because they are usually unnecessary, given the climate here and the adobe and wood construction. Adobe is a natural building material that absorbs the heat of the sun during the day and releases it at night, so effectively the rooms all have natural storage heaters. For those chillier evenings and early mornings in mid-winter or on rainy days, we have several heaters that are available on request. Similarly we have hairdryers available on request. I am very sorry that our receptionist apparently forgot to deliver yours. We do very much appreciate your feedback and have taken action on all your points. The local guides appreciate how special our location is, in a peaceful spot in the old Inka town of Ollantaytambo beneath the carved face of Wiracocha, the Inca god, who watches over the town from the mountain Pinkuylluna. For some people, the five minute walk up the cobblestone street may feel like too much. There is no wheelchair access, but we do offer a pick-up service from the plaza free of charge so that you do not have to carry your luggage. Please call for assistance. Happy travels! How far is this from train station, please? Train station is approx 1 -1.5 km from Apu Lodge. A motorized tricycle can take you to Plaza de Armas for reasonable cost. Walk to Apu Lodge is then about .5 km over cobbled stone lanes. Yes we are happy to help. Please email us so we can organise your taxi, and a guide if you wish. TripAdvisor won't let me post our info email but you can find it on the Apulodge website. Are the double beds Queen size or full size? Thanks for the questions and replies. Half of our double beds are queen size, the other half are standard double. If you would like a queen size bed please email us with your reservation and we will try to ensure that you get one. Apu Lodge. Dear Apu Lodge, Do US Citizens also need an Andean Migration Card in addition to a passport ? Your website says you will charge 18% tax without these. Is a US passport enough to avoid the tax? Thank you. Do you know if Apu Lodge offers early check-in? My wife and another couple will fly into Cusco at 615am in July, and would love to take a taxi to Ollantaytambo to arrive around 8am and rest a bit before we visit some of the ruins in the town. Thanks Karen for your accurate response to the question. We are often too busy in July to offer very early check-in, but will try to get your room ready in as soon as possible. We have hammocks in the garden which some early guests use. Hope you enjoy your stay!